SpaceX announced late Saturday that when it conducts its first test launch of the Falcon Heavy rocket this Tuesday, it will also attempt to land all three of the giant rocket’s first-stage cores. Two will aim for landings at Cape Canaveral in Florida, while one, the center core, will attempt to land on a drone ship at sea. The announcement is ambitious, especially considering SpaceX CEO Elon Musk has previously said there’s a good chance the test launch itself will fail. In July of last year, Musk said of the Heavy test that there was a “real good chance that that vehicle does not make it to orbit” on the first try. Despite the uncertainty of the launch, SpaceX does seem to have nearly perfected the process of recovering boosters. It has now landed nine boosters on land and 12 on drone ships at sea. The first successful drone ship landing, in April 2016, was on the same ship, Of Course I Still Love You, that will be used to recover part of the Falcon Heavy. Those recoveries are key to SpaceX’s long-term goal of lowering spaceflight costs. The company has already successfully refurbished and re-used Falcon 9 boosters several times. It has also successfully recovered a Falcon 9 nose fairing, and is aiming to recover more components. 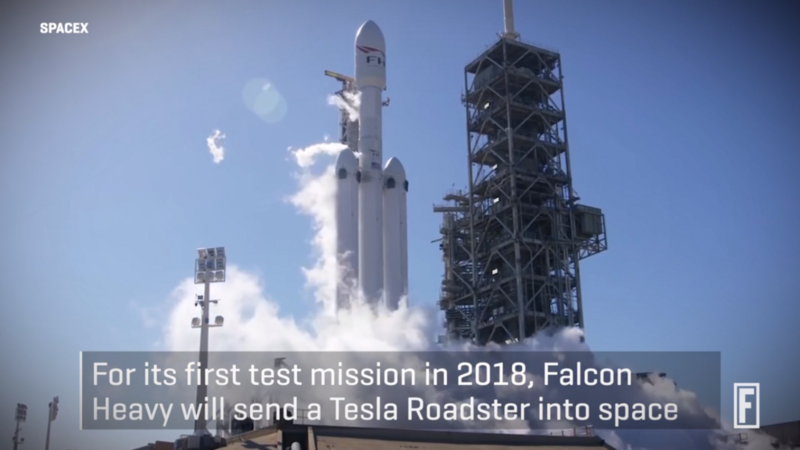 The Falcon Heavy, which has three times as many engines as the SpaceX Falcon 9, is scheduled to launch from Florida’s Kennedy Space Center at 1:30 p.m. Eastern time on Tuesday, Feb. 6. The company warns that area residents are likely to hear multiple sonic booms during the booster landings — assuming everything goes according to plan.